This English attacking midfielder has appeared in five games for West Ham United in the Premier League this season. Kevin Nolan has scored one goal but has not provided any assist till now. He has an incredible pass success rate of 80.2 %. Nolan scored his solitary goal in the very first game of the season against Cardiff City. 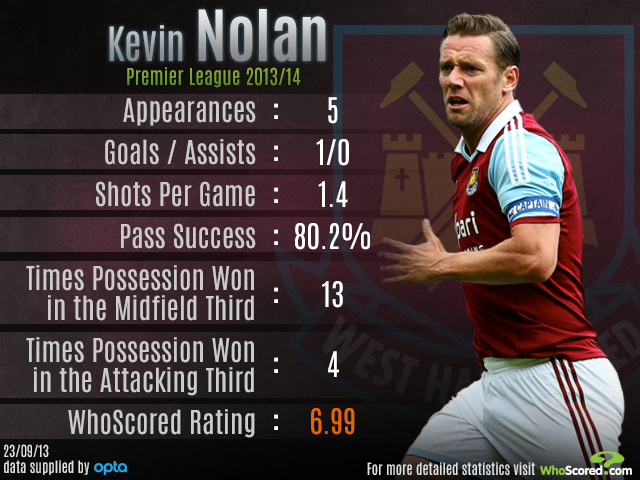 The chart below reveals the performance of Kevin Nolan for the The Hammers this season.